What the hell? How is it legal to release an entire album under the name of an established, internationally successful band? I bought this after Googling "Cake New Album" and finding this listed with a release date of today. 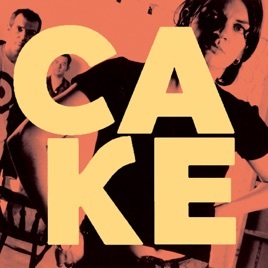 When I looked on iTunes, this was grouped with all of the other albums from the band Cake. The Sacramento-based, nationally-known-since-circa-1995 band. So I bought it. Now I want a REFUND. It sounds like a high school band that specializes in Gin Blossoms cover tunes hired the lead singer of the band Garbage and they recorded this album. They must have said, "Well if we call ourselves 'U2' or 'Avenged Sevenfold' or 'The Beatles' that might be too obvious and we'll get called out on it. 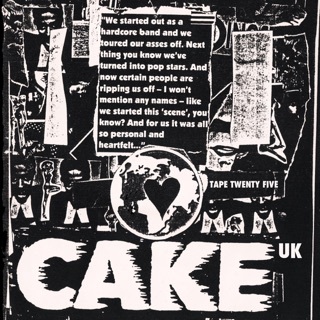 But if we call ourselves 'Cake' maybe enough unsuspecting rubes will plop down 10 bucks for our crappy album that we get enough money to move out of parents house before iTunes realizes and shuts us down'. Well, I'm the unsuspecting rube in this situation and I am not amused. I would like for someone to explain to me how this is possible. And I would like my money back from iTunes. Seriously. Don't buy it, not even for kitsch value. It's not "funny bad", it's just "bad bad". I'm completely flabbergasted. I don't understand. I've half a mind to record an album of my own farts and upload it to iTunes as "Air Supply's Greatest Hits". If I did, it would be better than Blue Powder by "Cake". What's going on? Not the Cake I know out of Sacramento. Where's the trumpet? Who's the woman singing? How do I get my money back?